World witnessing a rampant, 'catastrophic collapse' of insects: Study. US: Nearly half of all insect species worldwide are in rapid decline and a third could disappear altogether, according to a study warning of dire consequences for crop pollination and natural food chains. "Unless we change our way of producing food, insects as a whole will go down the path of extinction in a few decades," concluded the peer-reviewed study, which is set for publication in April in the journal Biological Conservation. The recent decline in bugs that fly, crawl, burrow and skitter across still water is part of a gathering "mass extinction," only the sixth in the last half-billion years. "We are witnessing the largest extinction event on Earth since the late Permian and Cretaceous periods," the authors noted. "We estimate the current proportion of insect species in decline, 41 per cent, to be twice as high as that of vertebrates," or animals with a backbone, Francisco Sanchez-Bayo of the University of Sydney and Kris Wyckhuys of the University of Queensland in Australia reported. "At present, a third of all insect species are threatened with extinction," he added. An additional one per cent join their ranks every year, they estimated. Insect biomass, sheer collective weight, is declining annually by about 2.5 per cent worldwide. "Only decisive action can avert a catastrophic collapse of nature's ecosystems," the authors cautioned. The study pulled together data from more than 70 datasets from across the globe, some dating back more than a century. By a large margin, habitat change – deforestation, urbanisation, conversion to farmland – emerged as the biggest cause of insect decline and extinction threat. Next was pollution and the widespread use of pesticides in commercial agriculture. The recent collapse, for example, of many bird species in France was traced to the use insecticides on industrial crops such as wheat, barley, corn and wine grapes. "There are hardly any insects left, that's the number one problem," said Vincent Bretagnolle, an ecologist at Centre for Biological Studies. Experts estimate that flying insects across Europe have declined 80 per cent on average, causing bird populations to drop by more than 400 million in three decades. Insects comprise about two-thirds of all terrestrial species and have been the foundation of key ecosystems since emerging almost 400 million years ago. "The essential role that insects play as food items of many vertebrates is often forgotten," the researchers said. Moles, hedgehogs, anteaters, lizards, amphibians, most bats, many birds and fish all feed on insects or depend on them for rearing their offspring. One-in-six species of bees have gone regionally extinct somewhere in the world. Dung beetles in the Mediterranean basin have also been hit particularly hard, with more than 60 per cent of species fading in numbers. 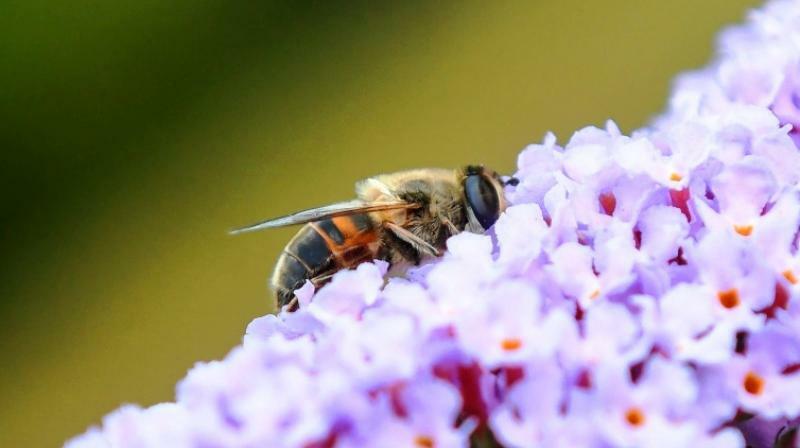 Insects are also the world's top pollinators, with 75 per cent of 115 top global food crops depending on animal pollination, including cocoa, coffee, almonds and cherries.